What can one say about the outsized, often outrageous Arnold Schwarzenegger--tank driver, bodybuilding champion, action-movie megastar, and now governor of California--that he has not already boasted about himself? Let me tell you (as Arnold--on a first-name basis with everyone--might say), he is one of the most successful acts in the history of promotion. However, veteran celebrity biographer Leamer has a lot to say here that Arnold might not necessarily approve of, from his savvy in thriving in the movie industry to allegations about his boorish behavior with women. Although Schwarzenegger granted Leamer an interview, this is not an authorized work. Nor is it a wrecking ball of dishing. Coming after decades of books (Pumping Iron, 1974), muscle-magazine cover stories, and tabloid fodder about the superstar, it sorts through the pulp and the fiction on a search for the real Arnold and largely finds him. Part of his myth is that of the self-made man; while that is true of Arnold's later days, in his early years, he benefited from crucial patrons drawn to his sunny-skies ebullience, none more so than Joe Weider, publisher of bodybuilding magazines and the impetus behind Arnold's move to Los Angeles in 1968. 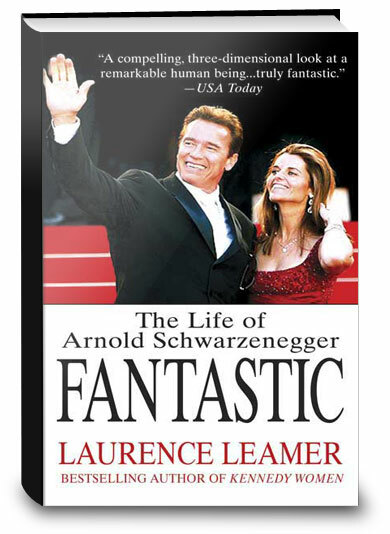 Click the button below to add the Fantastic: The Life of Arnold Schwarzenegger to your wish list.